This year we have decided to spice up the pumpkin scent. 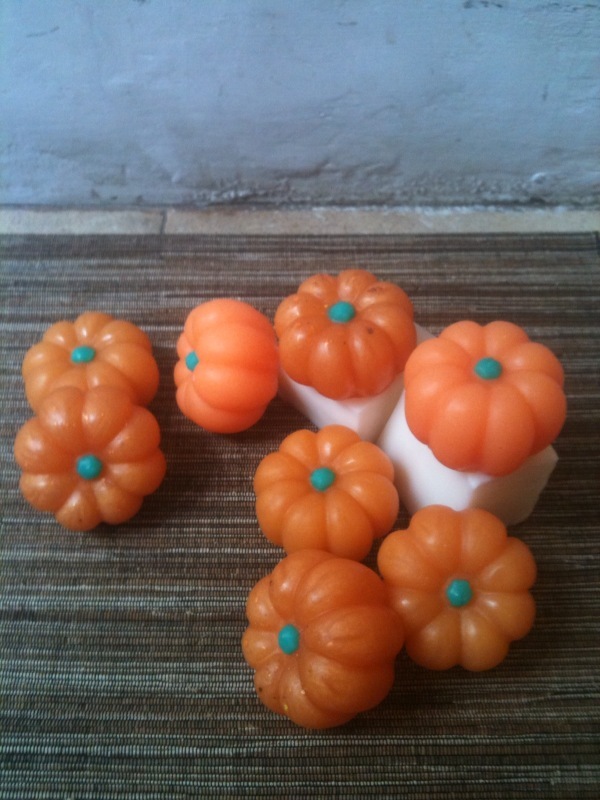 While the nutty vanilla buttery scent remain, it is more of a spicy pumpkin pie scent. Spicy, does sound a little scary to try out but it is super yummy and the spice just perks it up a little more...perfect for pumpkin lovers! These soaps makes lovely guest soaps and of course for trick or treating. They are way too cute to be scary. We can modify it so it looks like a lit up pumpkin, with a touch of glitter, so do write in and let us know. Weighs 80gms and going for $5. If you are using this for trick or treating, again make sure the receiver knows it is a bar of soap.